1. M. A. Connor and Herbert Newton opened a carriage, auto and sign painting shop in the basement of the Neumeyer Block when the bowling alley was removed in 1914. 1. M.T. Wright left the business in 1931. Robert Searles took over Wright’s Book Store in 1933. 1. Laurenz moved his business to 136-140 South Elmwood in 1943. 1. F. E. Shaw sold machine shop to Medina Mfg. Company in 1900. 1. Company will make the windmill formerly made by C. O. Weidman. 2. Medina Manufacturing Company stock was sold to various parties and mostly to A. I. Root who got $1,000 in stock in 1904. 4. The Company was making 50 electric flat irons and mangles a day. They were a prize winner at the Cleveland Electric Show in 1922. 5. Medina Manufacturing Company sold to Henry Furnace and Foundry Company for $51,000 in 1923. 1. E. C. Miner Brunswick blacksmith business sold the business making OK swabbing and baling tractors to Gill and Dreher, Miner has made 225 tractors from 1925 to 1930. 2. The building was built in a few short days in 1925, and became a machine shop. John Gill and Romey Dreher were the original owners of the building, but in 1946, they passed the machine shop on to Henry Arnold "Bovie" Overholt. The business was best known for its swab rigs. 1. Gill rented a small room for Edwin Morse’s use as an auto parts store. 1. Bovie Overholt build up the business, and it continued expanding and changing. The business focused on improving the swabbing rigs, and by 1970, it became so successful it had to move to a larger location three miles south on Rt. 3, where they continued the evolution of the swabbing rig. 1. After extensive remodeling, including adding a staircase and an entire floor, Cana Wine and Martini bar opened in the building. 1. After Cana closed down, Thyme 2 moved into the building and it became a hit dual-concept restaurant. 1. Eggleston shop 2nd building west of South Court Street opposite Hickox factory in 1882. 1. John takes over the blacksmith shop do to illness of Elmer Huffman in 1905. 2. John Huffman former blacksmith for F. J. Tibbitts built a concrete block blacksmith shop between Medina Carpet works and Roy Oatman’s machine shop in 1913. 3. John Huffman sold lots #363 and #365 to William H. Overholt in 1915. 1.. Charles F. Davis purchased Tibbitt’s blacksmith shop in 1917. 1. Loren Wilt opened a radio shop in the blacksmith shop on West Smith Road in 1924 and will be remodeled in 1925. 2. Jay Beedle is remodeling the old blacksmith shop for Loren Wilt’s radio shop in 1925. 1. Carl Earl moved his machine shop here from West Liberty Street in 1926. 1. Medina Tractor Sales Company moved their business to #144 North Court Street in 1945. 1. Swain moved his business to this location from #144 North Court Street in 1945. 1. The J&S Tractor Sales building suffered extensive damage estimated at $30,000 in a pre-dawn fire Memorial Day morning. 1. In 1956, Maxine Koppelberger has succeeded Mrs. Helen Swain as Registrar of Automobile Vehicles. 1. The Church of God quarters suffered extensive damage, including loss of all pews, furnishings, piano and fixtures. None of the latter was covered by insurance. 1. Albert G. Oatman and Ozro Sanders under the company title of the Medina Electric Light and Power Company have erected substantial brick structure equipped with necessary machinery, power, and dynamos for supplying the town with arc and incandescent lights and power. 2. The plant was put into operation on September 15, 1897 and already there are 800 incandescent lights supplied to stores, offices, residences and shops in the village. 3. The rates in effect are reasonable and range from one to five lightsfurnishedfor 60 cents each, per month; from five to fifteen at 50 cents and from fifteen to twenty-five lights at 40 cents each, per month. 5. The plant is equipped with one K. W. generator, one 125 horsepower engine and one 150 horse power boiler, the largest in the town. 6. Simon S. Oatman bought out A. G. Oatman’s interest in 1905. 1. S. S. Oatman sold Medina Electric Light and Power on Lot 16 to F. O. Phillips for $14,000 in 1905. 1. Judge F. O. Phillips sold Phillips Electric to Charles A. Moore of Chicago in 1915. 1. Orlin Oatman purchased the machine shop owned by S. K. Kraver and Sons. The purchase included the machinery and tools belonging to the former owners. The business will be continued at the place by Oatman and Sanford. 1. Roy Oatman bought the stove business from his Uncle, S. S. Oatman in 1916. When the final call comes to a loved one, a memorial is wanted which will pay fitting tribute and love to the dearly departed. Medina County belongs to Charles W. Lawrence who’s Medina Granite and Marble Works, on West Smith road, had its Inception about twenty-two years ago. Success in any line of endeavor is gratifying to a man. The success of Mr. Lawrence during the many years he has, followed his trade and profession of carver of memorials is made evident by the volume of local friends and patrons which he enjoys. Mr., Lawrence is in a position to deliver, for you, direct from the manufacturer to your cemetery lot, any desired memorial, either a simple marker or a more pretentious monument. And much of the workmanship thereon is his handiwork. Mr. Lawrence learned his art in Plymouth, England, his birthplace, and, following his same work, he came to the United States, at the age of 19. He was associated for a number of years with Stanford White, America's outstanding architect. He was located for some time in Vermont too, where he studied and worked further in his art of monumental carving has been the entire life's work of Mr. Lawrence, and, during the almost quarter of a century he has lived in Medina, he has endeared himself to the entire community by the excellent and conscientious work he has done. Beautiful memorials are permanent reminders of reverence and love which we evidence for our dead. And nothing is more fitting than that we consult Mr. Lawrence for our needs. And no time of the year seems more fitting than now with winter just around the corner. Memorials seem like friendly roads between our loved ones who are gone and family that survive. 1. George E. Clark cleans carpets, weaves carpets, rags, druggists and portieres in 1901. 2. William G. Ritter sold his business to George E. Clark in 1901 for $700. 3. Medina Manufacturing Company sold the building to George B. Clark and E. P. Johnson in 1904. 1. Company has new rugs made out of old ingrain and Brussels carpets in 1916. 1. Ohio Fuel Gas Co. sold building to Macy O. Hallock in 1948. 1.. Macy O. Hallock leased the building to John A. Nardy for a laundry business in 1948. 2. Launderette had 12 auto Bendix washers, 2 driers and 1 ironer in 1948. 1. John A. Nardy sold the business and 17 domestic and 2 commercial units to Lloyd Bagley in 1954. Free Oil Company purchased the property in 1920 and sold it to George D. Laurenz in 1952. 1. Grover G. Yocum of Yocum Oil Company sold to Free Oil Company for $3000 for the land, $20,136.97 for the business and fixtures in 1920. 3. A group of Medina men bought the Yocum property at Liberty and Elmwood for a filling station in 1923. 4. William Frazier, William Nugent (contractor) and Frank Mummaw bought the Yocum place and will move it back in the lot and remodel it for a tenant house 1924. 1. Sam Uren and Fred Grenfell leased from Paul Rollins the big FX garage 100 ‘x 32’ and rented front sales room to Motor Sales Company for a Hudson and Essex Automobile dealership in 1925 and rented the south end to C. W. Sommers for a Nash Automobile dealership in 1927. 1. Sam Uren and Fred Grenfell took over the Nash dealership from C. W. Sommer when he moved his business to Lodi, Ohio in 1928. 2. In 1932, Independent Super-Service Station owned by Frank Vance sold his battery business too Sam and Fred. 3. Serving the motorists of Medina and vicinity for the past 16 years, Sam and Fred's garage at 136 South Elmwood Street has built an enviable reputation for efficient and thorough workmanship. 4. In addition to handling the Nash automobile dealership, 24-hour towing and wrecking service is maintained. 5. The two modern trucks with the two proprietors are ready at an instant's notice to respond to your calls for need when auto trouble arises. 1. 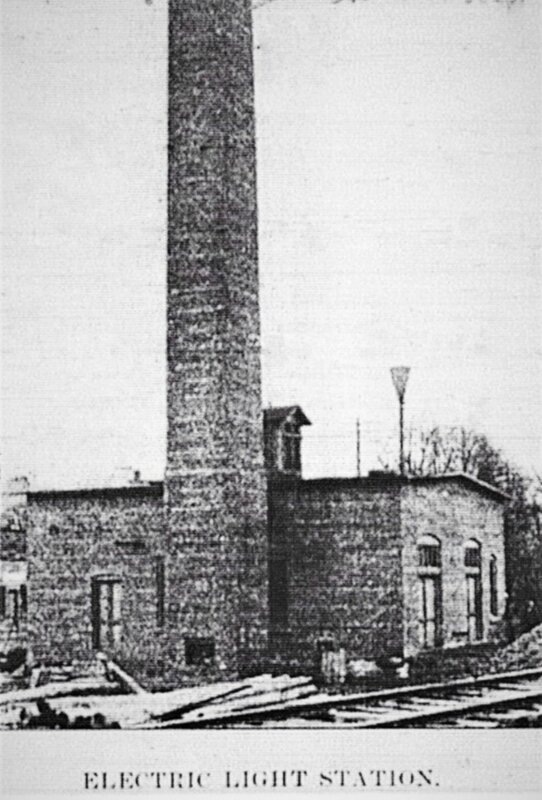 Probably one of the biggest little war factories in the country is the plant of "George Laurenz, the Carburetor Man," which recently moved from the basement of the Neumeyer building to the building formerly occupied by the Sam and Fred garage which Mr. Laurenz purchased from the Free Oil Company. 2. Not only do Laurenz and his force of three men continue the carburetor and magneto work for which the shop has "built" up a wide reputation in this part of the country, but they also turn out thousands of precision made tools for the manufacture of armament and ammunition and also for the building of aircraft. and at the same time keep essential transportation and farm equipment running. tion and increase the efficiency of his plant. 1. Occupied by H.G. Blake who owned a grocery with Benjamin Durham of Shenandoah, Iowa in 1843. 1. Occupied by Delia Wilcox, a tayloress and fine buttonhole maker at the corner of West Washington and South Elmwood Streets. 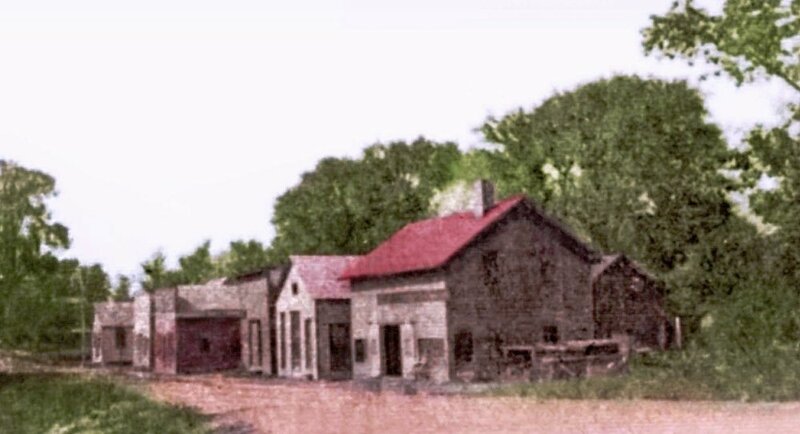 Della came to Westfield Township in 1832 in covered wagon, then to Medina in1845 with her sister and lived with H. G. Blake. This was her home for 68 years supporting herself with her needle then with the purchase price of her home. 2. In 1862, Della’s Sister Mrs. Roxana G. White, widow of Spaulding White made her home at this residence. 3. J. G. Hesser a station agent rented a boarding room from Delia Wilcox in 1901. 1. Dora White and H. Wilcox, niece and nephew of Della Wilcox purchased the property from the estate in 1913 and rented rooms for income. 2. Herbert Lester ‘Bert’ Wilcox was a pharmacist at J. W. Tuttle Drug Store in 1917. 3. W.F. Peters, renter in 1916. 4. Ella Templeton a realtor and niece of Della rent rooms in 1916. 7. Dora White estate sale listed a1000 eye celery holder on April 9, 1943. 8. Listed for Sale; Suitable for 3 apartments, asking $6300 in 1943. 1. In 1950, a fire destroyed an upper bedroom, roomer smoking part of the north side, but did not harm the Medina County Historical Society display area. Clare Rose Vittel Estate sold the property (Lot 323) to the Moose Lodge No. 647 in 1979..
Bill Rapenchuk sold north side of Lot 10 to the Moose Lodge No. 647 in 1992. 1. William was born here in 1848; first wife was Alice P.; second wife was Frances “Fannie” N, Hobart. 3. William founded Medina Foundry Company, later Henry Furnace Company; was secretary until 1916. 4. His automobile caught fire returning from Cleveland and he died of a stroke at the sight in 1925. 1. W. H. Hobart sold the property to Clara and Edwin T Pierce for $1500 in 1902. 2. Edwin T. Pierce was a farmer, livery, livestock dealer, insurance agent, sold cream separators and sold automobiles at 111 West Washington Street from 1913-1922. 1. Wass bought the Pierce or old Hobart homestead in 1913 for $1,500. 1. Residence and business office in 1943. 2 For sale: 8 rooms and barn in business zone for $6000 in 1949. 1. 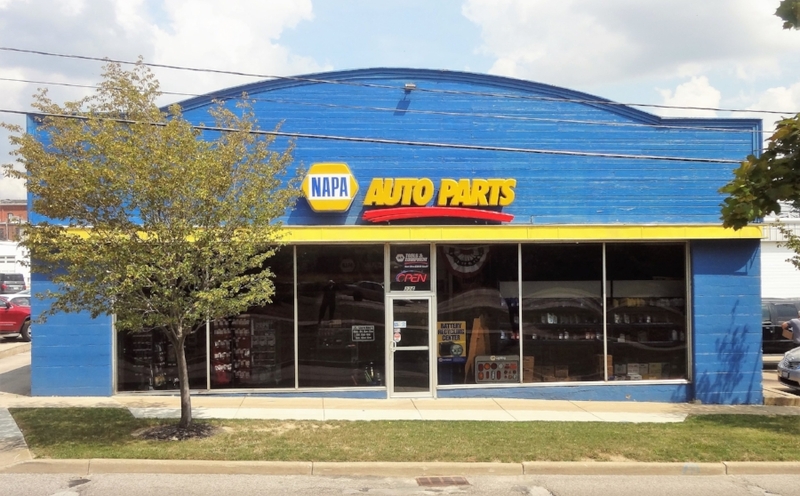 Gwendoline E. and George H. Helmund Jr bought the Hobart-Pierce-Wass home at 226 S. Elmwood Street and will operate the Automotive Parts Service there in 1949. 1. Gwendoline E. and George H. Helmund Jr sold the building to Martin and Linda Marcellus in 1996.